These past few weeks have been crazy, but seriously some of the best few weeks. 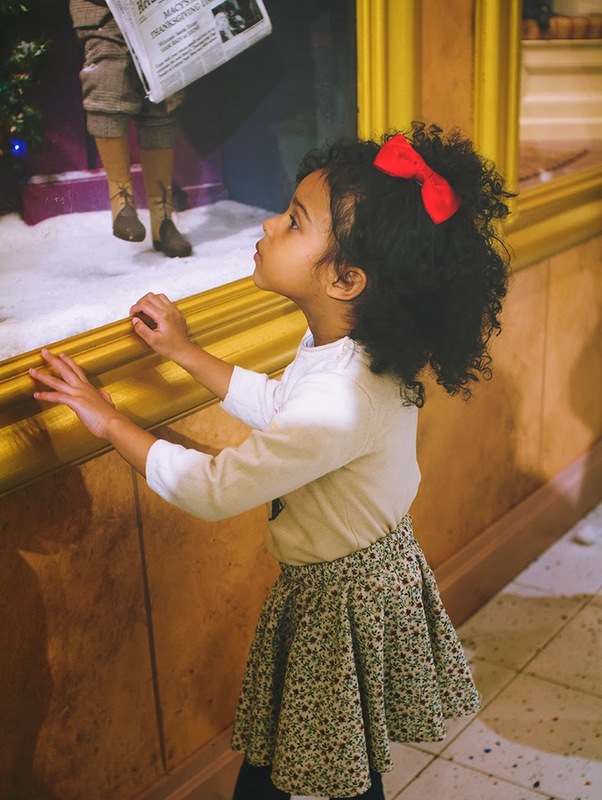 Our schedules have been all over the place, and even during this busy time, we are making sure our kids get to experience all things Christmas-y in the city. It’s been hard, but it’s always so rewarding. River is so excited for every little adventure, tree, present, you name it. Oak, Oak is at that golden age of being so wide eyed. It’s all so new, and probably so crazy to him. He just looks around and stares. Occasionally, he’ll smile and laugh, and we’ll all laugh, because that’s what you do. 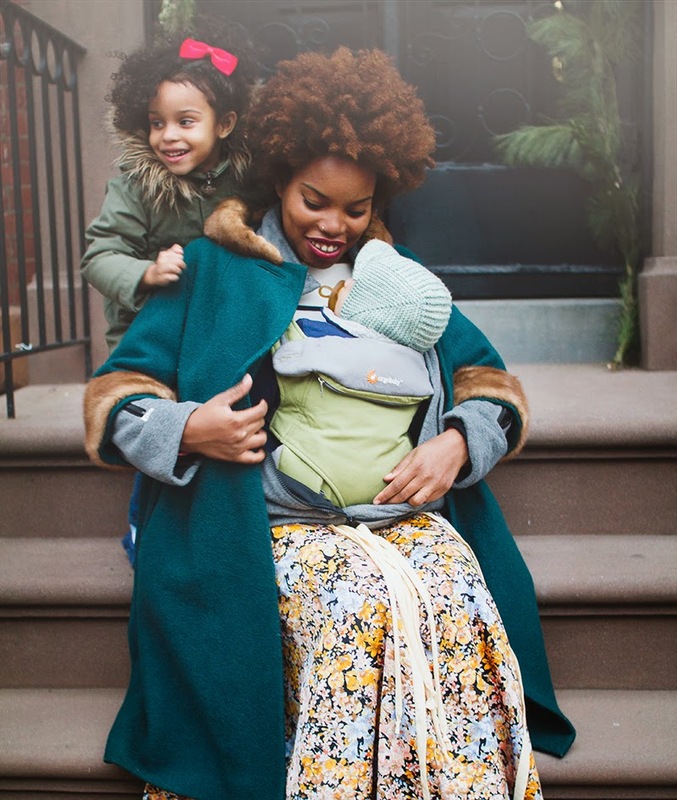 I’ve teamed up with my friends over at Ergobaby to showcase a few of their carriers in our everyday life. These are rather simple traditions in the making, that I’m so happy to have our Ergo a part of. There’s so much to do and see here, and doing it without hassle or discomfort, is a goal of mine. Our Ergo helps with that. We took the kids to see Santa one evening. It was probably horrible timing, but we had no other day to do it. We bundled them up and braced ourselves for the long wait at Macy’s to see the jolly old fellow. River had talked such a big game about seeing Santa for a few days there, that I actually was a little convinced that this year was the year she would actually go through with it. She didn’t. And that’s okay too. 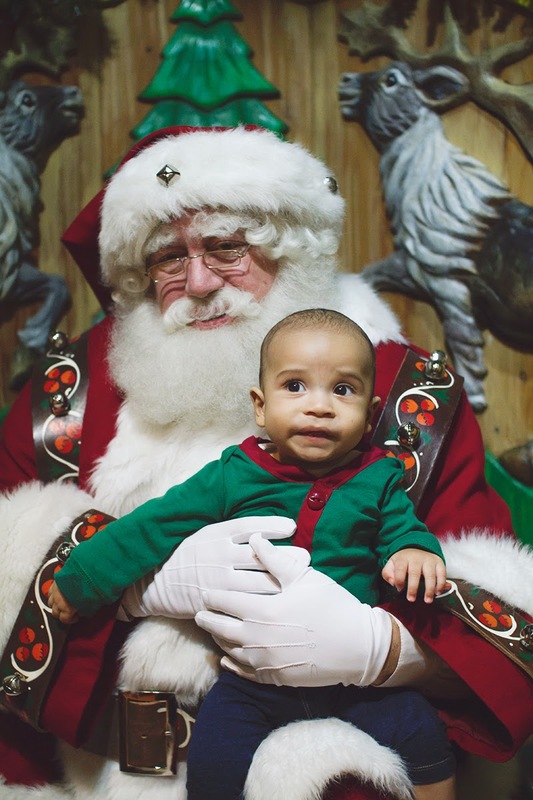 We had a great time leading up to it, and we walked away with a good photo of Oak, and some hilarious ones of River melting in front of Santa. These are the things I know make up their youngest years of life, and the things I will always hold so close to my heart. More photos of our Santa visit behind the break. While waiting in line we played so many games, sang a few Christmas carols, ate some snacks and looked at the little displays. 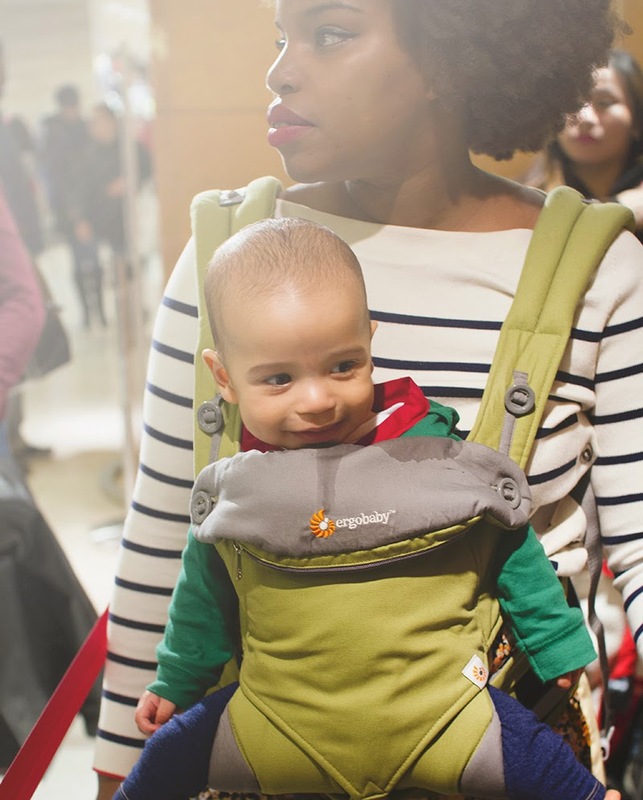 Oak faced forward in the new Ergobaby 360 carrier, and kicked his little legs along to the music the entire time. The line was long, but so very worth it in my opinion. This particular time when they’re so young, goes so very fast. I want them to experience it all. I want to experience all of it. 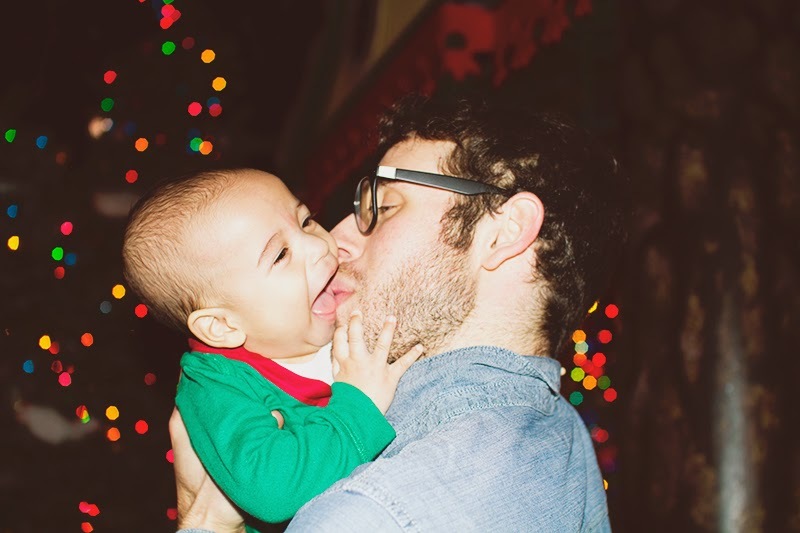 After we got to see Santa, we walked around the city and felt the crazy energy of the holidays. Everyone was carrying about three or four shopping bags. 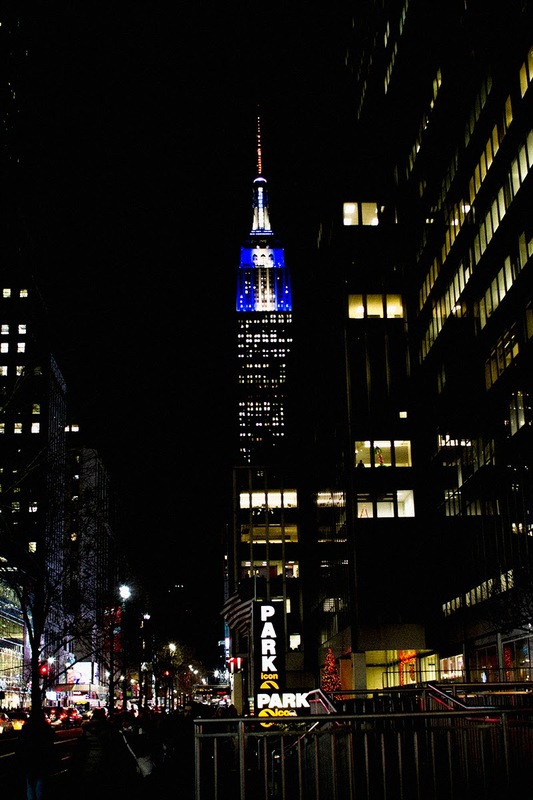 I would see tourists, stopped dead in their tracks by the lights. I could feel their joy for all the things this city is known for, and I felt it too. It was so good. 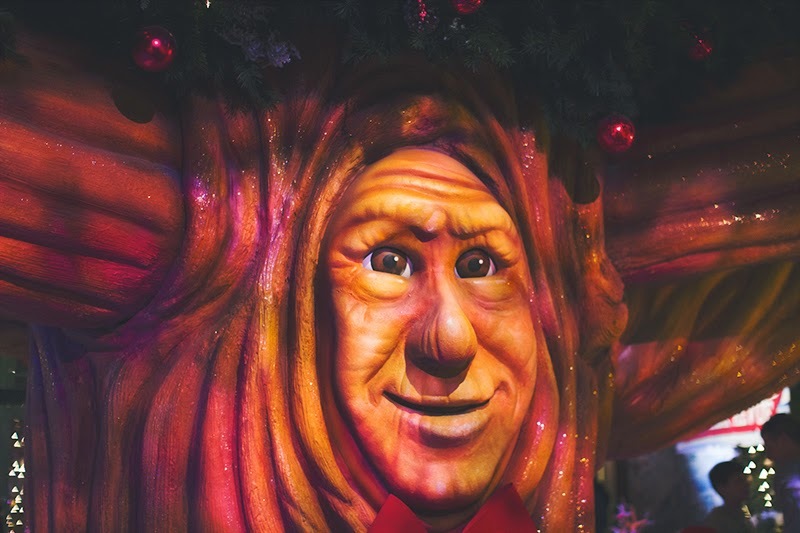 I can’t believe Christmas will be here in just a few short days! This will be my last post for 2014, and what an incredible year it has been!! Thank you all, I can’t wait for 2015! 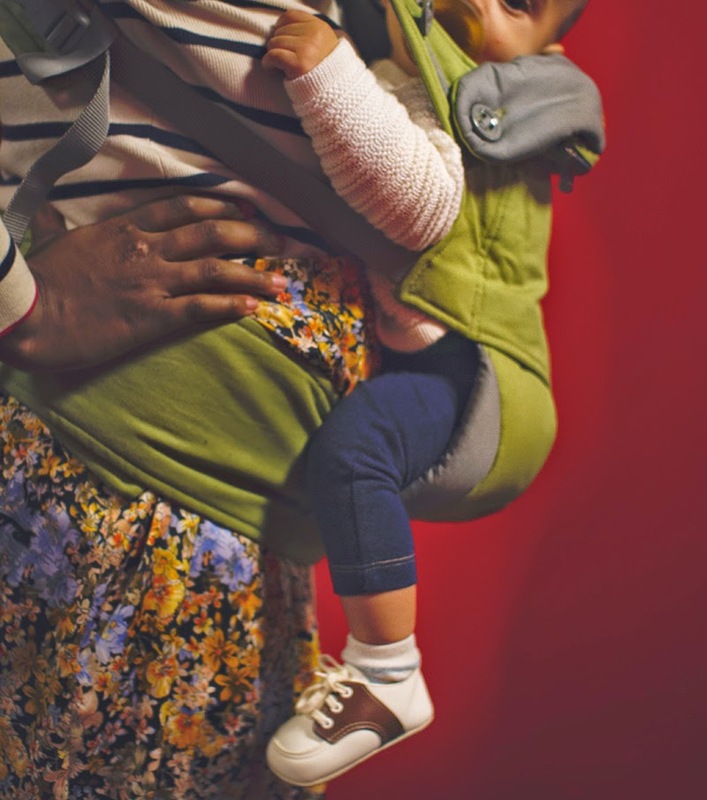 I am wearing the Four Position 360 Ergobaby Carrier. Photography by my husband, Peter Staubs. 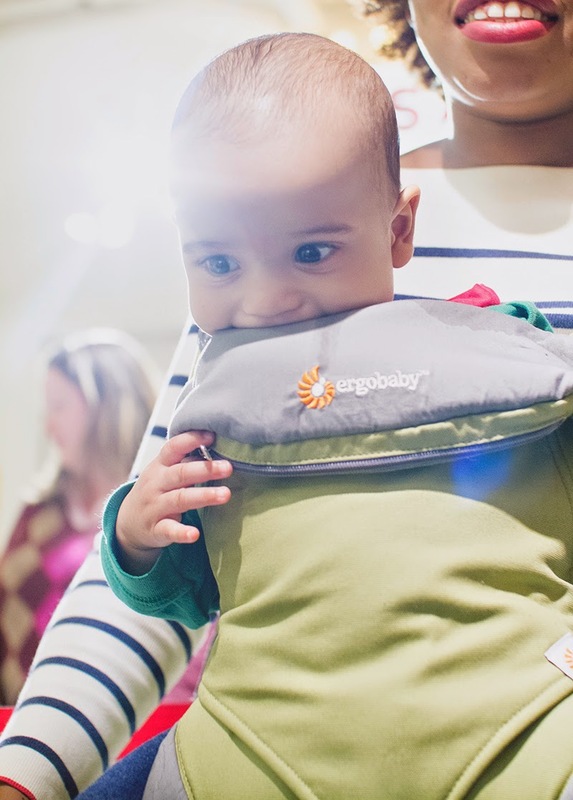 This post was in partnership with Ergobaby. A company that I wholeheartedly believe in. these pictures are so magical <3 love it! such a beautiful family! seriously! 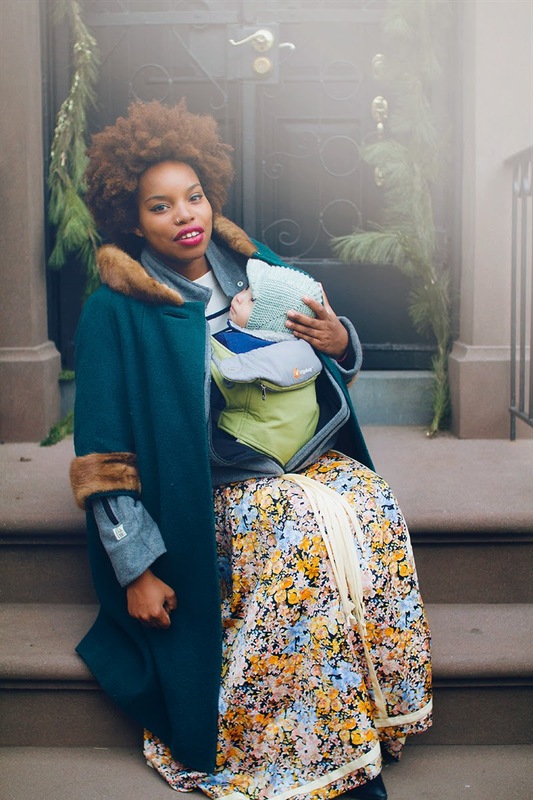 you guys make parenthood look so effortless! 🙂 meeting santa is such a special thing to do as a child! I'm sure your kids loved it! Your clothes, the children. Everything is so beautifully portraid. Love the babies shoes, where are they from? 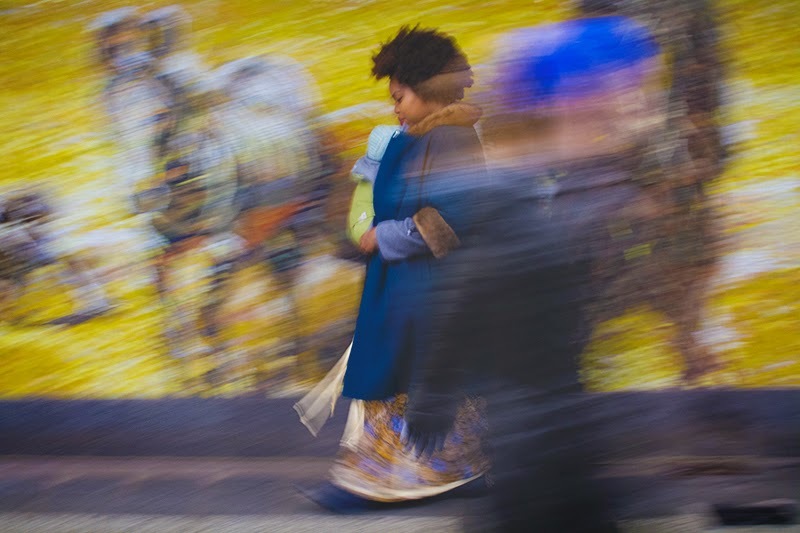 The blurry yellow and blue moving image is absolutely stunning. Happiest of holidays! I love this post, what a beautiful family! Keep up the beautiful writing! Beautiful pictures of a lovely family. Love your blog, so inspiring! everything ok? missing the blog! hi love! i will be back next week. Just taking a much needed break, and also, bringing some new additions to this space. thank you for checking in!